Public Enemy Gets Grooved By The Keepers Of Latin Funk Inspired by Public Enemy's discography, Brownout's latest batch of Latin funk covers is an instrumental soundtrack that recalls the grooves of late 1970s. Brownout's Fear of a Brown Planet comes out May 25. 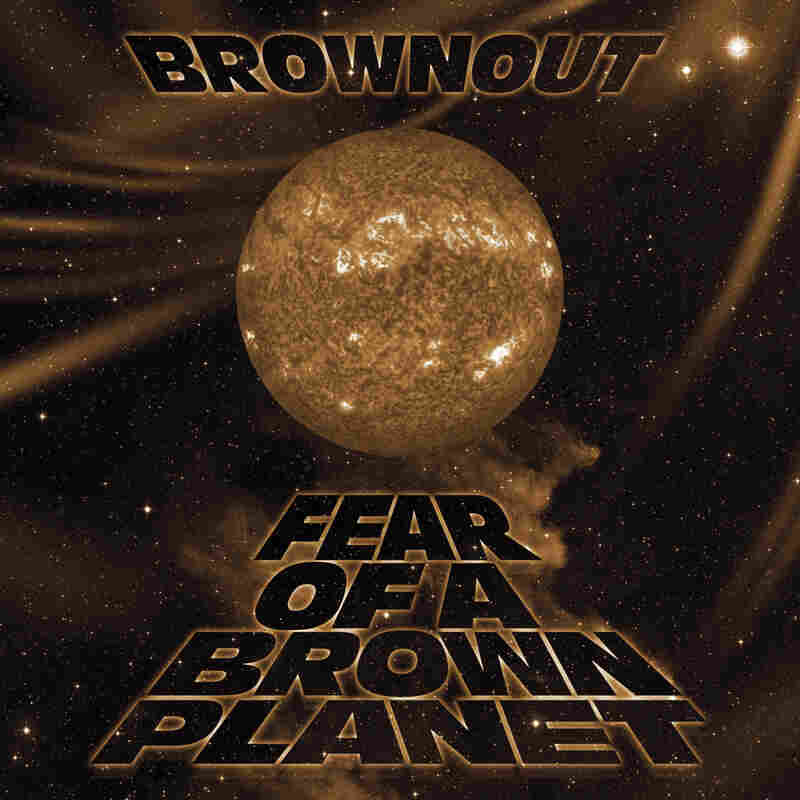 Fear of a Brown Planet is of course a play on Public Enemy's 1990 hip-hop classic Fear of a Black Planet. But while the latter was a sonic explosion of found sounds, iconic hip-hop beats and a flurry of intense rapping, Brownout's Planet is an instrumental soundtrack that is a dip back into the late 1970s, when deep bass grooves, wah wah pedals and horn sections reigned supreme. What they get right are the subtleties that old-school groove meisters like me recognize as the DNA of the classic sounds from Memphis, Muscle Shoals (Alabama) and Detroit. For example, "I Don't Wanna Be Called Yo N***a" features a raging guitar solo that calls to mind the underrated playing of Detroit's Dennis Coffey, who put the psychedelic into a string of hits for the Temptations in the early 1970s (among many others). Brownout also has fun with the whole thing, with titles like "My Uzi Weighs A Ton" which features a synthesizer break that I swear comes from a 1970s TV show. But because I am a child of the '70s (ahem, cough cough) I can't recall which show. Simplicity was the secret ingredient for the funk grooves that have stood the test of time. Individual virtuosity had no place in a rhythm section of interlocking parts and Brownout employs that musical approach in tracks like "Louder Than A Bomb" in which the two guitar parts complement each other in a call and response tandem. "Prophets of Rage" bounces along with Tower of Power-like horn parts over a drum beat that could have been sampled but isn't, further testament to the band's dedication to authenticity. 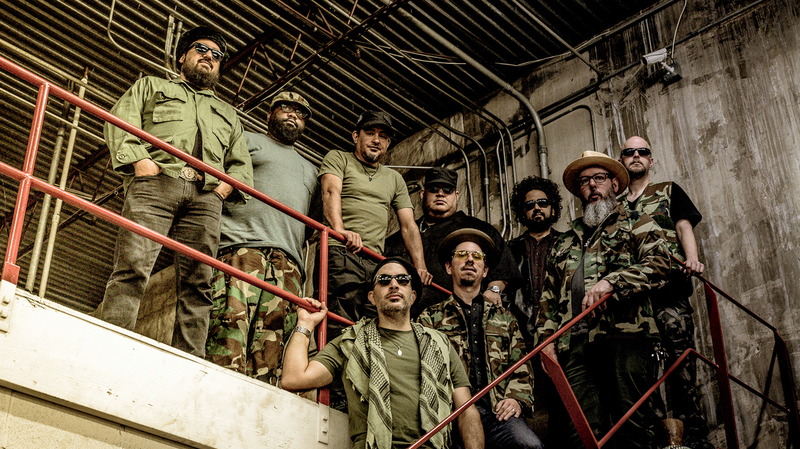 At the end of the day Brownout's dedication to Old School is not necessarily about preserving a musical relic but instead it's more about creating a living, breathing brand of funk that can cross generations.